This is a quick post about featured post swiper for blogger mobile site. So in this post I am going to share different types of mobile swipers and there features. I hope you will like them. Other bloggers and webmasters are requested to not copy and share this code without 101helper tag below each code, if found to be copied it will be against 101Helper's copyright violation and action will be taken! 1. It is free of cost. 4. Doesn't affect blog speed. 5. 100% optimized for all mobile screens. 6. Unlimited featured posts can be added. 8. Touch enabled for mobiles. 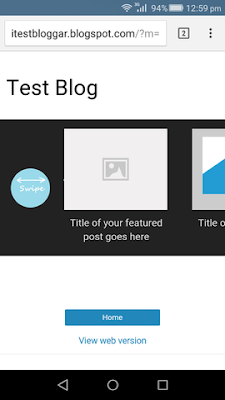 How To Add Featured Posts Swiper In Blogger Mobile Site? Follow below steps to add featured posts swiper in blogger mobile site. Step 1: Go to blogger dashboard and navigate to Template. 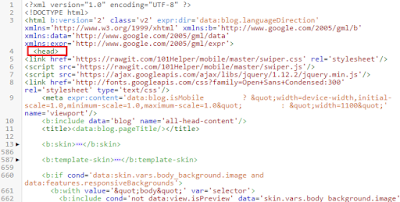 Step 2: Click on Edit Html. Step 3: Search for <head> and just below it paste the following code. 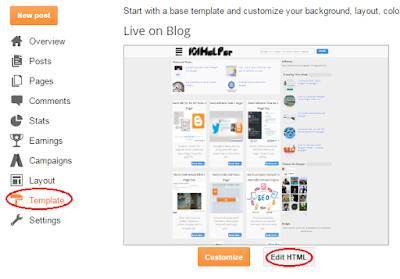 Step 4: Click on Save template. Note: This swiper will show only in mobile not in desktop site. Step 7: Click on save and note the ID of your gadget or give it a title so that you could find it easily for next steps. Step 8: Go to template and find the swiper gadget which you just added by its ID or by its Title. Step 10: Click on save and you are done, now you just need to enable mobile custom template for your blog and swiper will start showing up in your phone. 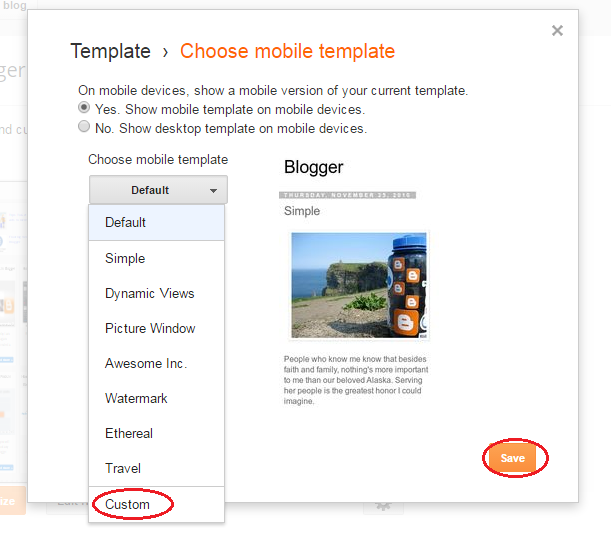 Step 11: Go to template and click on settings icon below mobile template. Step 12: Choose Custom template for your mobile template and click on save button. I hope you like this post, if yes then share it with others. Thanks for visiting 101Helper. 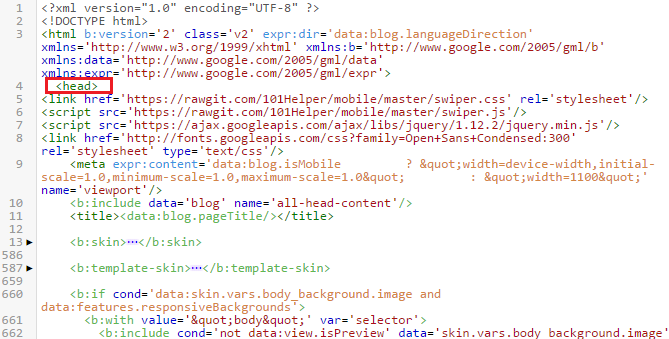 NOTE: Never remove the Light blue highlighted area of the code! How To Customize Mobile Swiper? Handle the codes carefully incase of any removal of a single code can result in stopping of the swiper! 3. Replace YOUR TITLE HERE with your post title. 4. Replace YOUR POST TEXT HERE with your post text. 5. To add more slides add below piece of code above the highlighted area(yellow). Wow. You are so good. 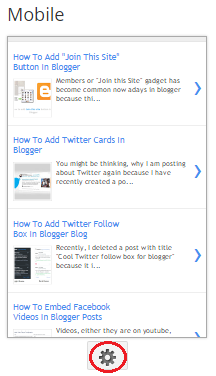 But please, help me code Blogger Random post swiper, just like this. Thumbnail and title only. I would really appreciate buddy. I'm really a fan of u. Anticipating. I will do it soon. Thanks, i will be waiting. Hi, the widgets are very good, but I have a problem. The widget "Mini Swiper Non-Compatible With Desktop Site - Dark Theme:" it does not work. The widget does not move/slip, as the widget "Freestyle Only Text/Links Without Thumbnails Swiper". Thanks for feeding back. 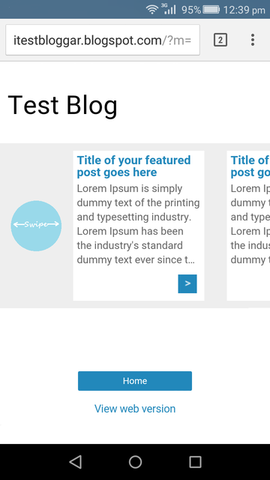 I really appreciate your feedback, it helps me to improve my widgets. Check back soon, it will be fixed.